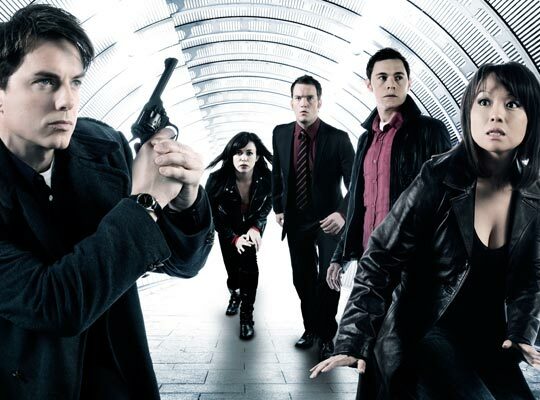 10 Things You Might Not Know About TORCHWOOD | Warped Factor - Words in the Key of Geek. "I first had the idea for the series while I was working on Casanova, before Doctor Who was even mentioned. I'd been watching shows like Buffy and Angel, and I'd said to [Torchwood executive producer] Julie Gardner - 'why don't we make a series like that?'" Davies' concept revolved around a small team of alien-fighters who called themselves Excalibur, which was also to be the title of the series, but once he landed the role of Doctor Who showrunner Davies abandoned the idea. Then in 2005, whilst still filming the last block of episodes for the first series of the revived Doctor Who, BBC Three Controller Stuart Murphy invited Davies to develop an after-watershed science fiction programme for the channel. Brushing down his Excalibur concept, Davies began formulating the series. 2. During the production of the first series of the revived Doctor Who, the word "Torchwood" (which is an anagram of "Doctor Who") had been used as a title ruse while filming to ensure the tapes were not intercepted during transportation. Davies connected the word Torchwood to his earlier Excalibur idea and proposed to make the series a Doctor Who spin-off. 3. The word Torchwood was seeded in many Doctor Who episodes, most prominently throughout the second series in 2006, but Davies sneaked a reference in during the final block of filming for series one. During the twelfth episode, Bad Wolf, in one of The Weakest Link sequences one of the correct answers is revealed to be Torchwood. This was the first time the name was heard on air. 4. 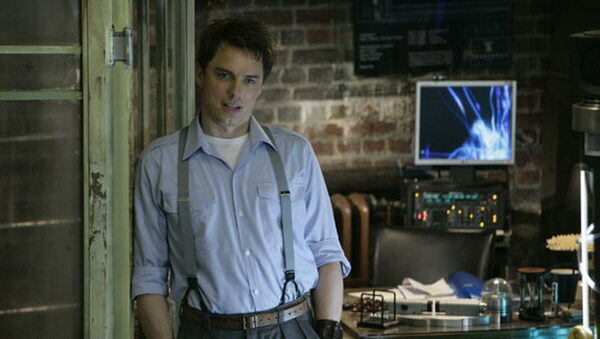 Jack Harkness was the first openly non-heterosexual character to feature in televised Doctor Who. Davies had singled out Barrowman for the part, conceived with the intention of forming a character arc in which Jack is transformed from a coward to a hero across the second half of Doctor Who series one. Barrowman says that at the time of his initial casting, Davies and co-executive producer, Julie Gardner had explained to him that they "basically wrote the character around him". During conception, Barrowman tried out portraying the character using his native Scottish accent, his normal American accent, and an English accent. It was Davies who decided he should use his American accent as he felt it "made it bigger". 6. Eve Myles (Gwen Cooper) had played Gwyneth in The Unquiet Dead, a story that was filmed during the same production block as The End Of The World. Zoë Wanamaker, who voiced Cassandra in that episode, was unable to attend the studio session in Cardiff so ended up recording her lines much later in a sound studio in London, so when it came to filming the episode Eve Myles offered to stand in to provide Cassandra's lines for the actors to react to. Davies was so enamoured by her radically different performances that he wrote the character of Gwen specifically for her, later revealing that Gwen was most likely a direct descendant of Gwyneth's. 7. It wasn't only John Barrowman and Eve Myles who appeared in series one of Doctor Who, but Naoko Mori (Toshiko Sato) too. As you may know she played "Doctor Soto" in Aliens of London. But you might not know that there was almost another Torchwood regular cast member lifted directly from that 2005 series of Doctor Who. And that was the tea-boy, Ianto Jones. Gareth David-Lloyd revealed that his character was originally named Idris Hopper. 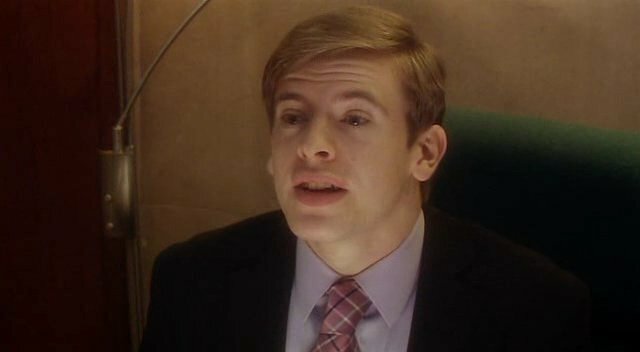 During the episode Boom Town, Aled Pedrick had played a character called Idris Hopper who was the personal assistant to Margaret Blaine. When Gareth David-Lloyd was cast in the role, the character was renamed Ianto Jones. This was inspired by the character of Yanto Jones, also played by David-Lloyd, in Russell T Davies's 2004 comedy-drama Mine All Mine. 8. Future Doctor Who showrunner Chris Chibnall wrote his first on-screen story set in the Doctor Who universe when he penned the second episode of series one. Titled Day One, it originally was called New Girl, and due to the filming schedule most of the episode was shot before Everything Changes, the actual opening installment of the first series. Chibnall would go on to write eight more Torchwood episodes. 9. 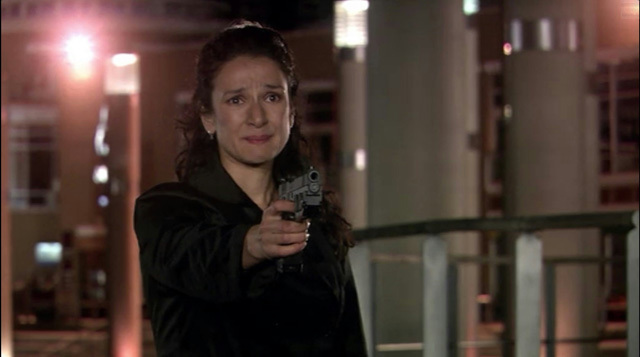 Prior to Torchwood's BBC Three debut, Suzie Costello, as played by Indira Varma, had been billed and promoted as a series regular. The character of Suzie had featured in Davies and Gardner's proposed pitch for Excalibur, along with the opening scene involving her reanimating a corpse in an alley at night, and the plot twist revealing that she was the murderer. Excalibur would've also seen her killed off at the end of the episode. However, the idea of Gwen taking Suzie's place in the Torchwood team came from Davies' experience of introducing Rose in Doctor Who, because Davies' wanted Torchwood to also feature an audience surrogate in the mould of the "girl next door" archetype, much like the companion character in Doctor Who. 10. On October 22nd 2006, Everything Changes, the first episode of Torchwood aired on BBC Three. Watched by an average audience of 2.4 million, this was a 12.7% share of the total television audience for its slot, making it the largest audience ever recorded by a BBC Three programme, and to this day the highest ever audience for a British serialised programme broadcast solely on a digital television platform.